If you want the best possible prices but also demand the widest selection available, Patio Land USA has you covered in both regards. As your authorized dealer in Tampa, Florida, we make sure that we offer you a wide selection, and great prices. 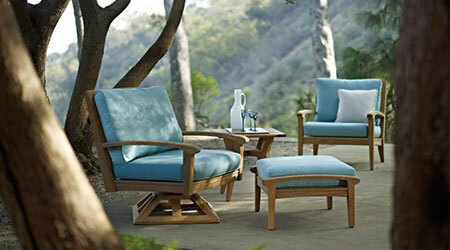 One of the best options that we carry is Gloster® wood outdoor patio furniture. We know that because of Gloster’s® reputation and dedication to excellence, everything we carry from this brand is high quality. If you would like to know more about the brand or would like to know why we rave about it, read on. When Gloster® originally started in Africa, the goal behind the company was to create furniture for local market consumption. 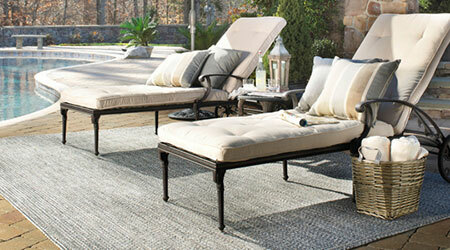 However, the designers quickly realized that they were extremely good at making outdoor furniture. It did not take long before people abroad were clamoring for Gloster® furniture. The company began exporting to Europe first, and later would export its goods all over the world. One of the main selling points for the company is the fact that they are environmentally aware. In order to create the smaller components in their wooden furniture, they will use discarded branches and tree stumps. This means even the smaller, otherwise useless pieces are used in the production of their Gloster® wood outdoor patio furniture. One of the reasons that people continue to flock to the designs of Gloster® is the fact that they test every piece of furniture to international standards, guaranteeing unparalleled quality and exceptional design. 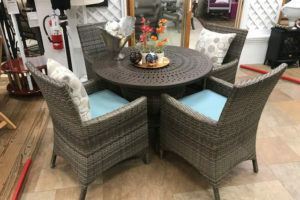 One of the main reasons that we often recommend Gloster® wood outdoor patio furniture is because we know the wide selection that is available for our buyers. This can range from the more vibrant to classic styles. Look at the sharp angles combined with soft textures and soft curves on modern materials in the Azore collection, or look at the Kingston design with a clean, crisp appearance that is defined by the gently contoured seat and back panels and tactile, shaped arms. Regardless of what you are looking for, of what style best suits you, you will find something here. 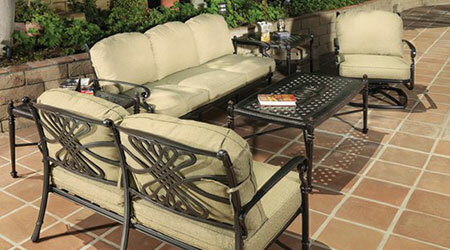 It should be obvious that outdoor furniture has to endure far more than indoor furniture does. This can range from sweltering heat and high humidity in summer to sub-zero temperatures in winter. 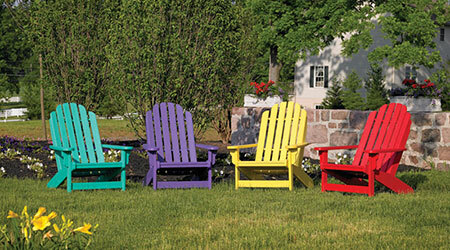 Regardless of what Mother Nature throws your way, Gloster® wood outdoor patio furniture is going to last. This is why just a little basic maintenance every year is going to allow you to ensure that your furniture has a long and trouble-free life.